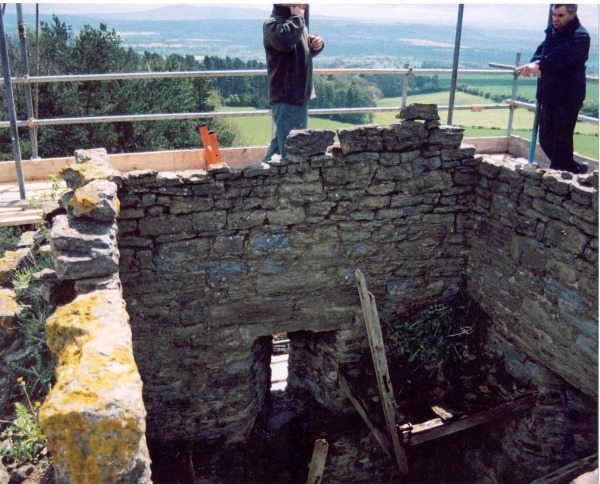 Restoration of a Grade 2 Listed Stone Tower in Shropshire. 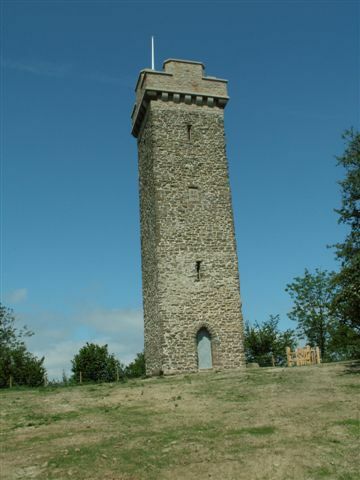 Flounder’s Folly is a Grade 2 listed stone tower, standing on the skyline at the top of Callow Hill, a few miles north of Craven Arms, Shropshire. The folly was built in 1838 by Benjamin Flounder, a C19 industrialist, ship owner and public benefactor. 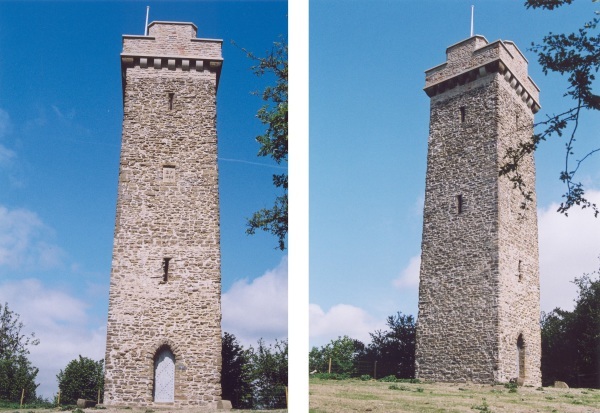 The folly was designed by Ludlow architect R Blakeway-Smith, and a collection of some original drawing still exists in the North Yorkshire Records Office. Photographs dating from 1938 show the tower fairly intact, and the text indicates that the battlements had been substantially rebuilt. 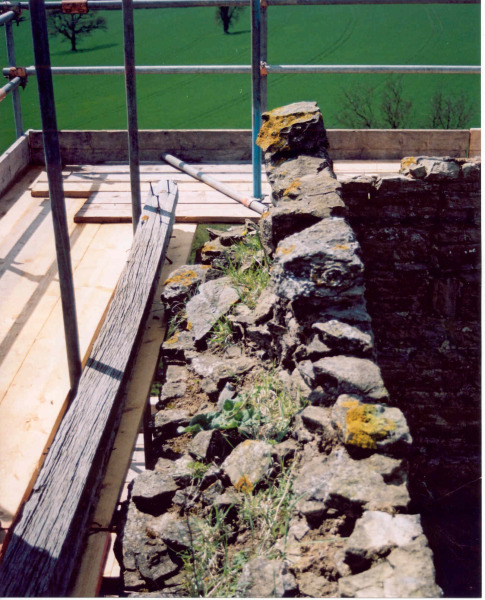 A further collapse of the battlements occurred in the 1980’s, suggesting an intrinsic weakness in the parapet design. 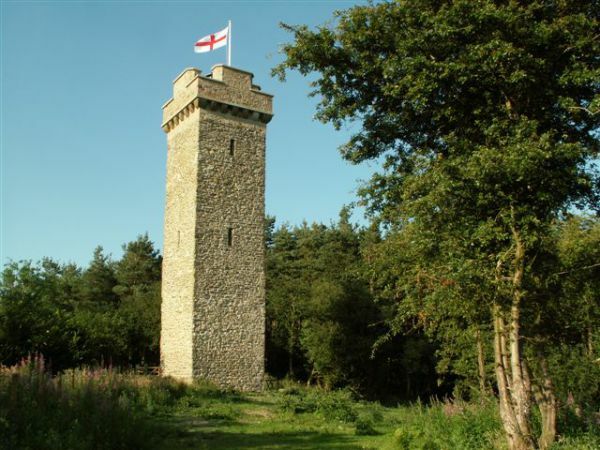 The parapets have been restored using Forest of Dean sandstone, and a new reinforced concrete roof deck has been designed to provide stability to the overhanging battlements. 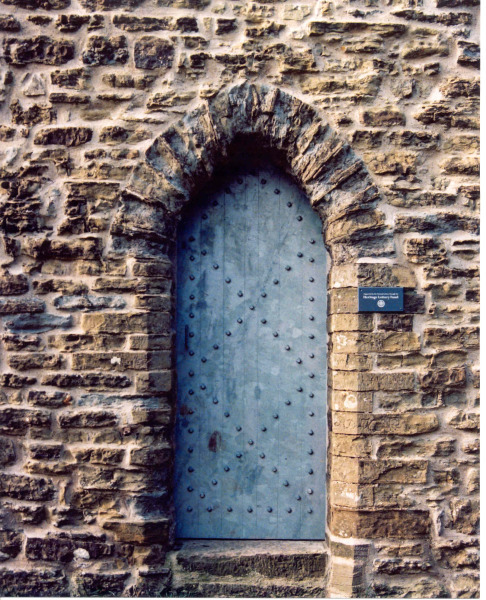 A new staircase and door have been inserted, and the existing masonry walls have been repaired and repointed. "The restoration of this delightful 19th century stone tower has brought a local landmark back into use. The restoration has been carried out in a sensitive and practical manner, and care has been taken to use original matching stone. 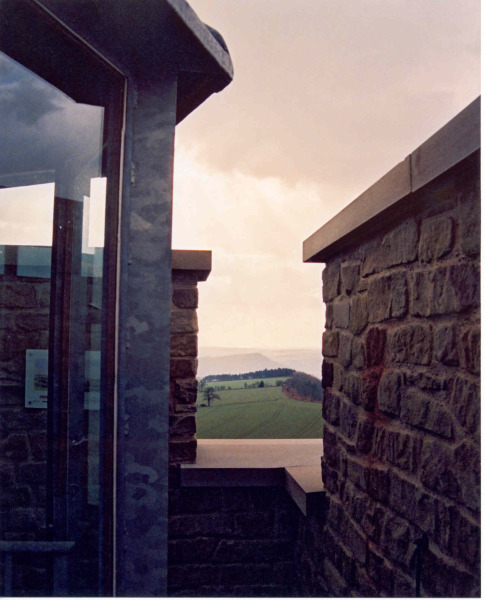 Galvanised steel and glass have been used effectively during the construction of the observation platform and staircase. Local people have been involved in fundraising to provide a local attraction as well as an historic visitor site."